Jakarta,10/03/2016 The President Joko Widodo inaugurated 11 bonded logistics centers as part of Indonesia’s second economic stimulus package that was unveiled on 30 September 2015. These bonded logistics centers aim to curtail the country’s notoriously high logistics costs which makes businesses in Indonesia less competitive and the general business climate in Southeast Asia’s largest economy less attractive. The official opening ceremony for the 11 centers (mostly located on the island of Java) was held in Jakarta. At a bonded logistics center imported goods – which can be subject to certain tax incentives – are stored that are later distributed to the industries. Currently, however, the bulk of goods imported by Indonesian companies are stored in Singapore or Malaysia. This causes logistics costs to rise steeply as storage costs in Singapore and Malaysia are high. 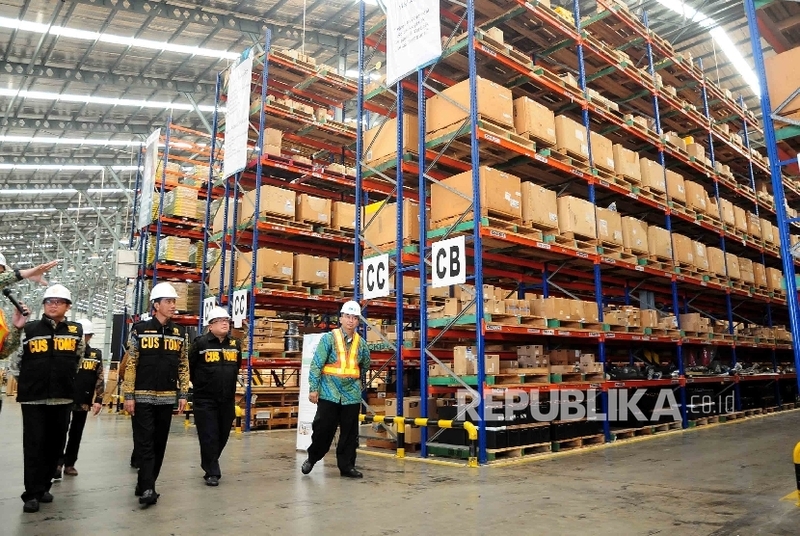 Indonesian Finance Minister Bambang Brodjonegoro said the flow of goods at these centers will be closely monitored by Indonesia’s Tax Department in order to combat illegal activities. Brodjonegoro added these centers will be given tax incentives such as a moratorium (delay) for tax and import duty payments (these are paid when goods are moved outside the center, not – as is the case now – when goods enter the center). Contrary to the bonded warehouse system (which is only used by the owner), the bonded logistics center can be used by other companies. Entrepreneurs and other industry players have reacted positively to this news. Ernovian Ismy, Secretary General of the Indonesia Textile Association (API), said these centers can curtail logistics costs for textile companies by 34 percent. Adhi Lukman, General Chairman of the Indonesian Food and Beverage Association (GAPMMI), said logistics costs in the food and beverage sector can be cut as the supply of raw materials can be sped up. Next year Indonesian authorities want to see the existence of 50 bonded logistics centers in the country. This entry was posted in Bonded Logistics Center and tagged bonded logistics center.